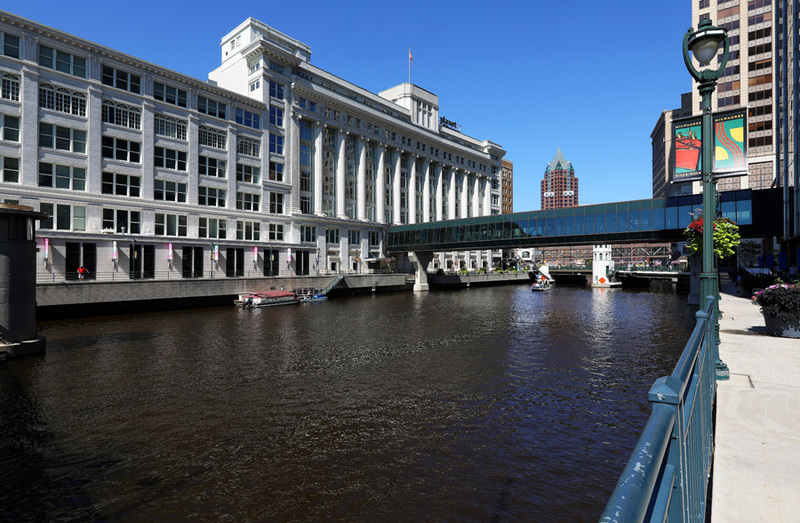 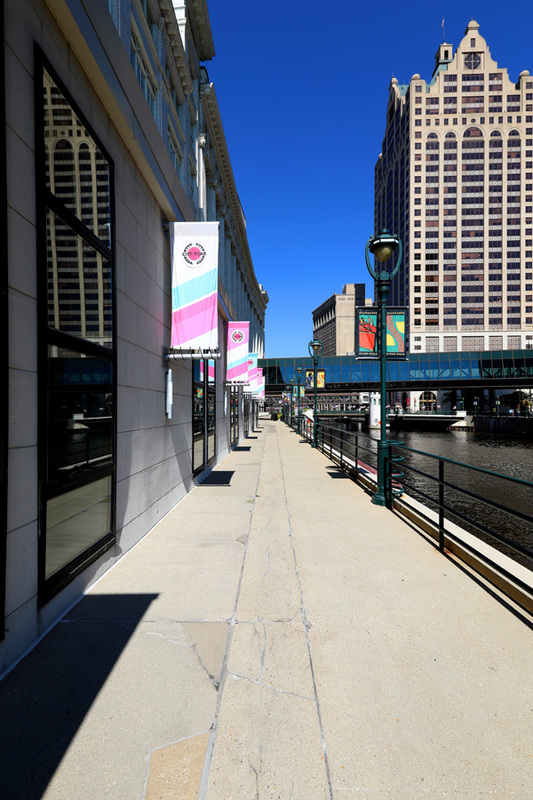 My last day in Milwaukee finds me downtown on Michigan Street just above the Riverwalk. 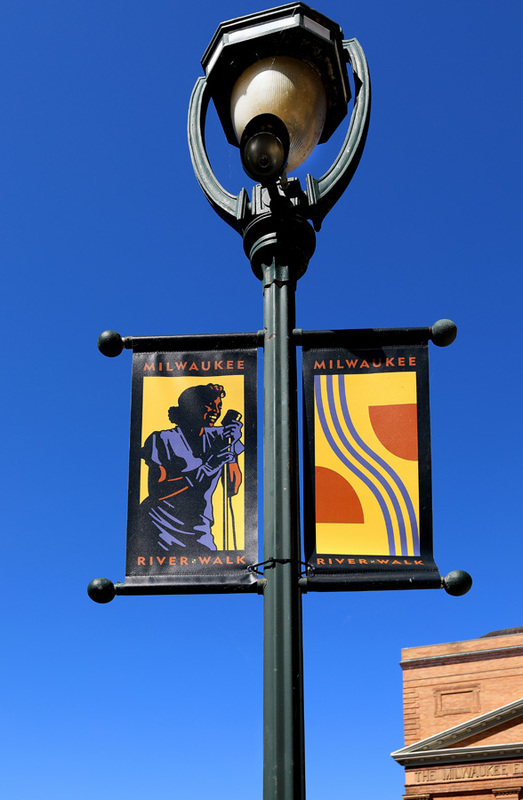 While walking along the Riverwalk, I photograph various signage and other “goings on” along the way. 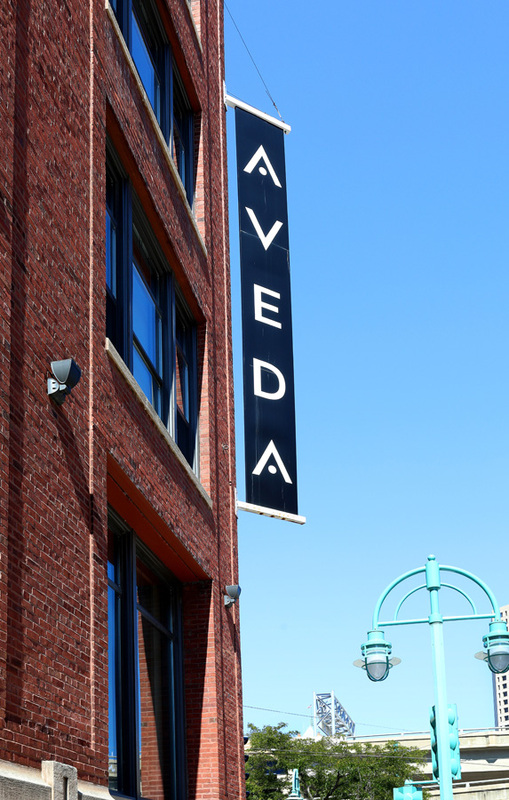 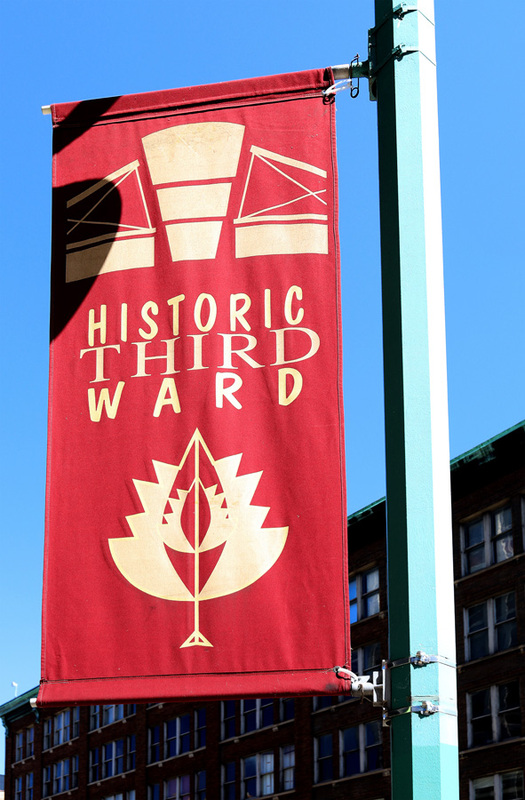 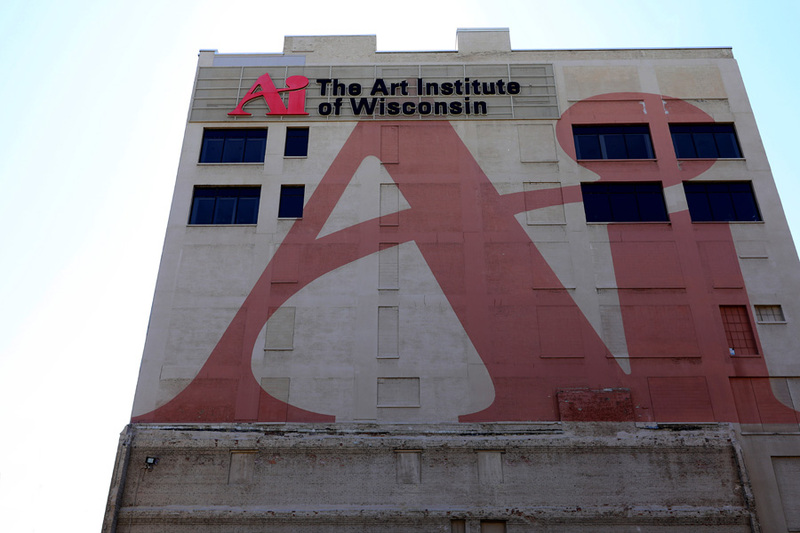 I then head over to Historic Third Ward where I photograph the Art Institute of Wisconsin and Aveda at the Neroli Salon and Spa. 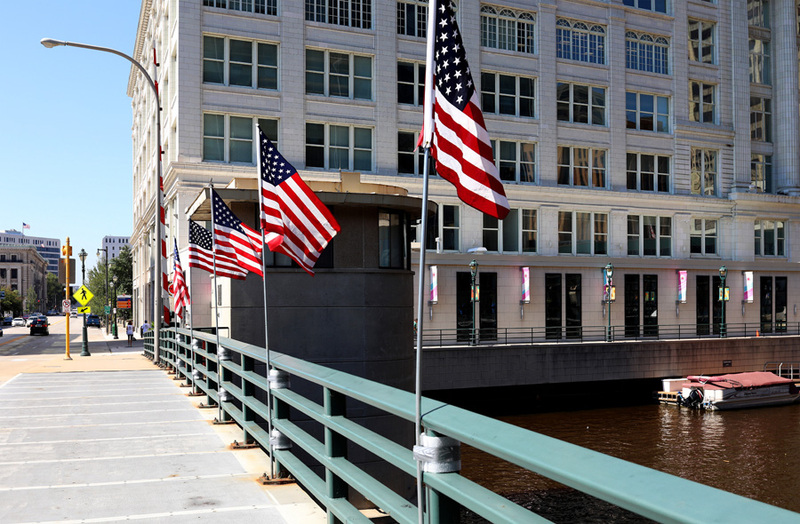 All of the bridges downtown have flags flying across them, making for great photos. 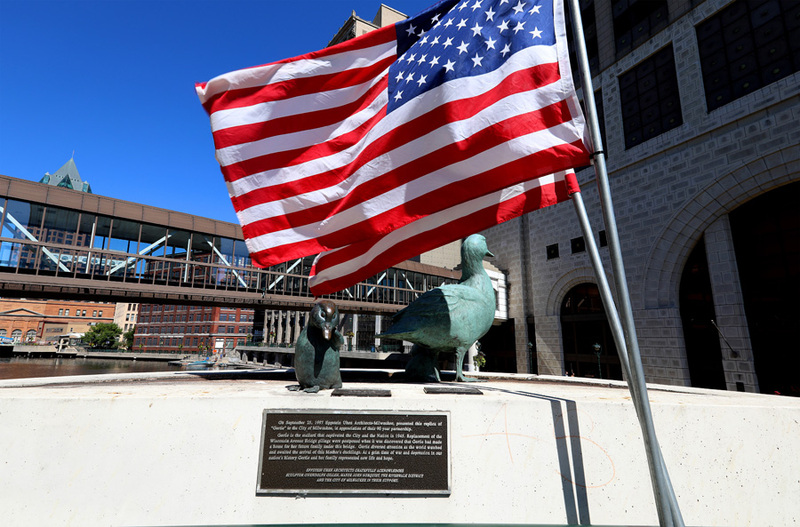 One photo in particular was on Wisconsin Avenue where Gwendolyn Gillen's 'Gertie The Duck' sculpture sits. 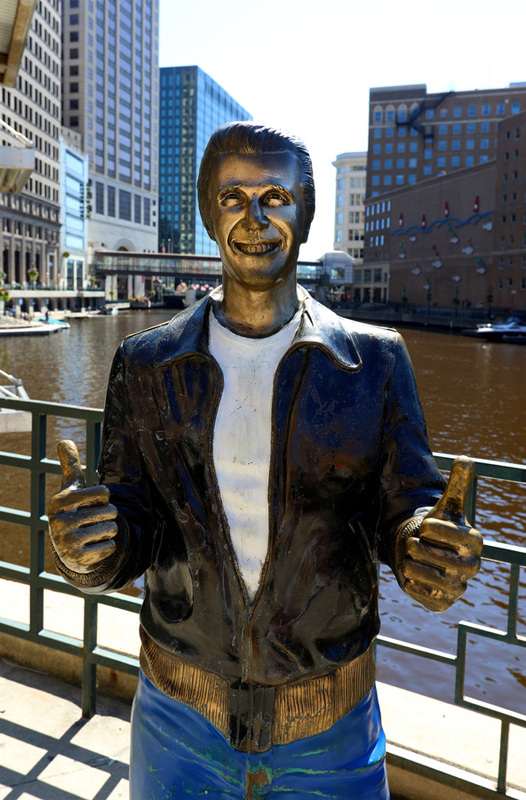 Construction was going on on the Wells Street bridge, but I managed to sneak through to photograph Gerald Sawyer's 'The Bronze Fonz' statue along the Riverwalk. 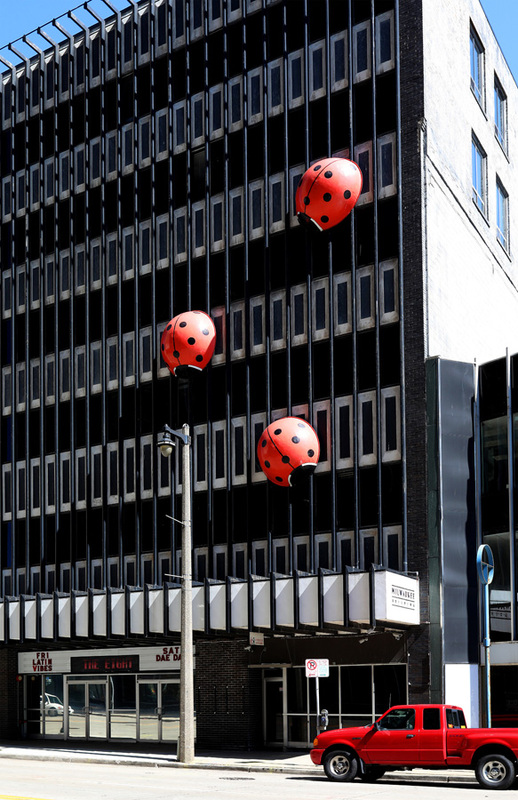 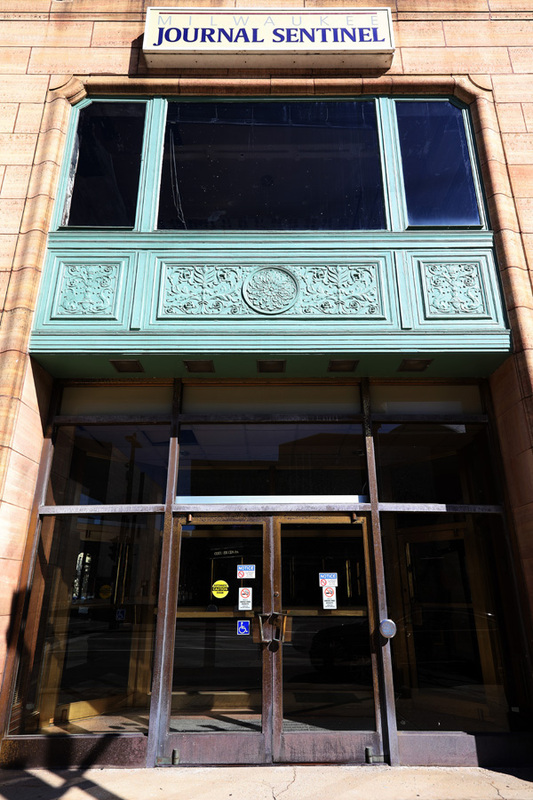 Over on the next block, I go to one of my favorite buildings downtown…The Milwaukee Building, also known as the “Lady Bug” building. 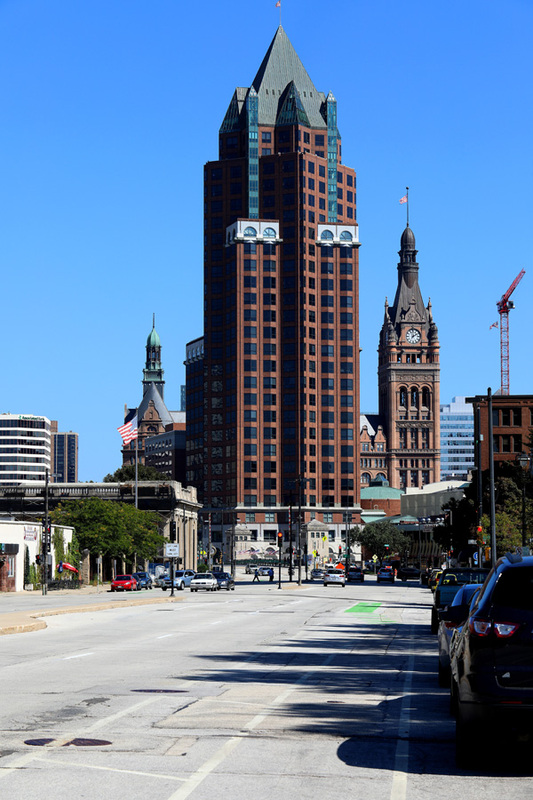 Also in the distance I photograph Milwaukee Center and City Hall. 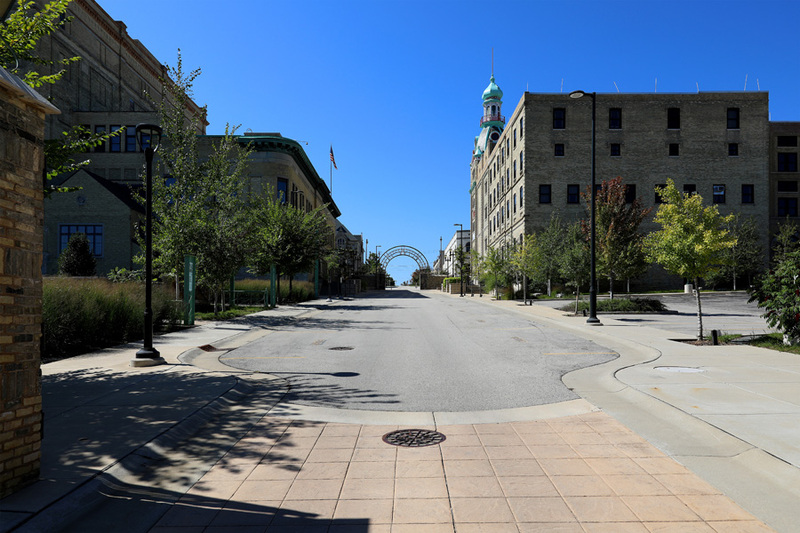 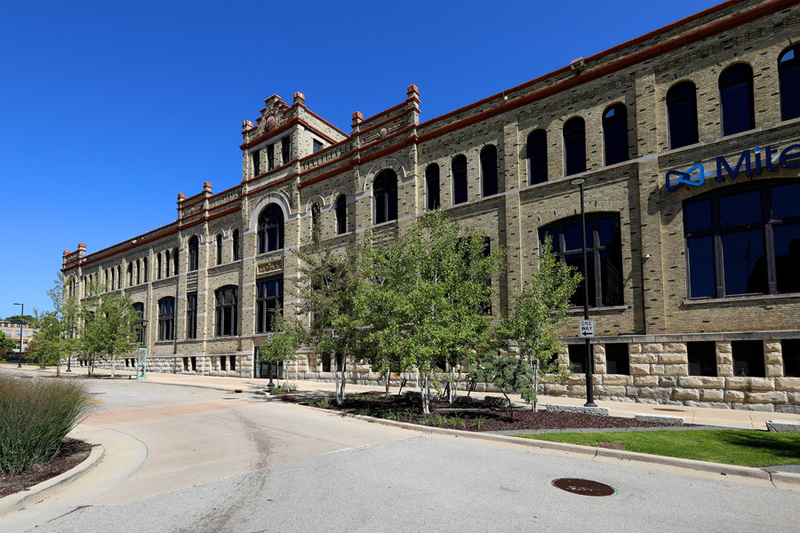 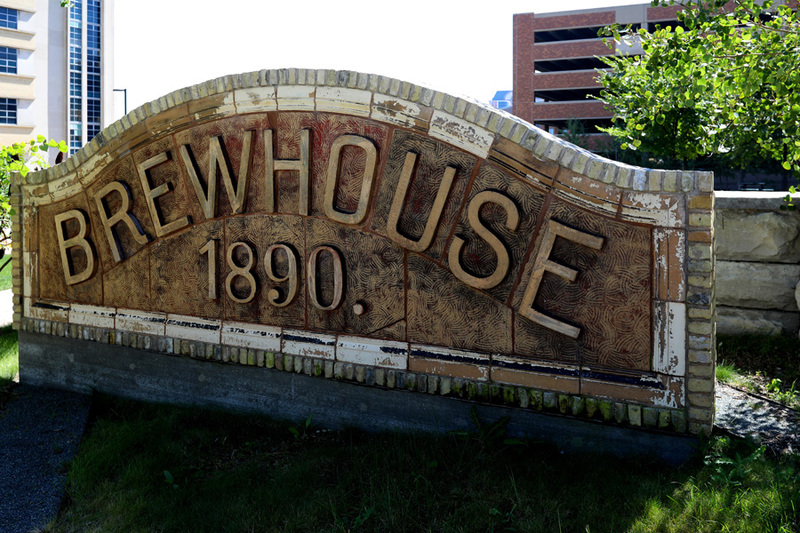 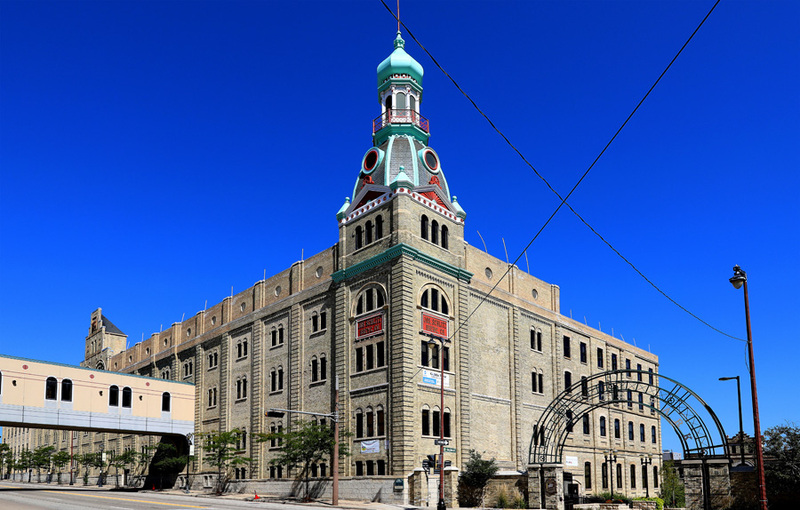 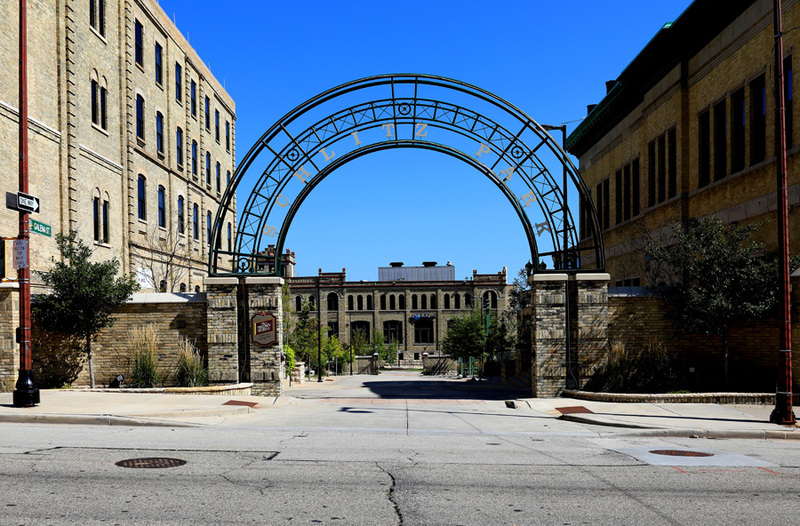 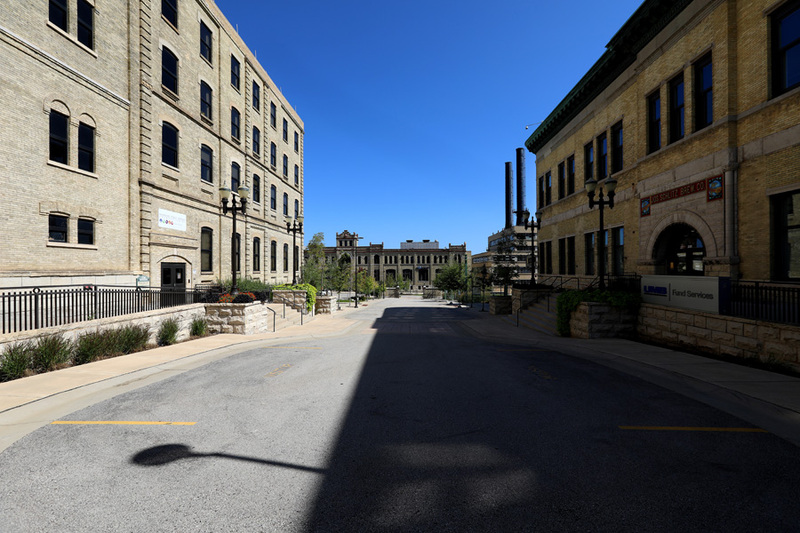 Next up, I make the drive to Schlitz Park where I photograph the old Joseph Schiltz Brewing Company building, Brewhouse 1890 signage, old Keg House, Schiltz Brewhouse 1890 marker and the Schlitz Building. 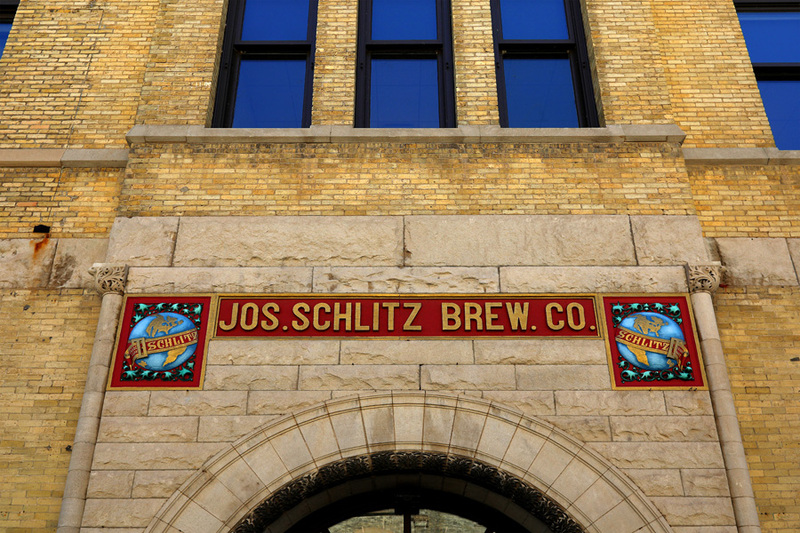 There are many brew houses around Milwaukee, but the Schlitz campus was really fun to be around. 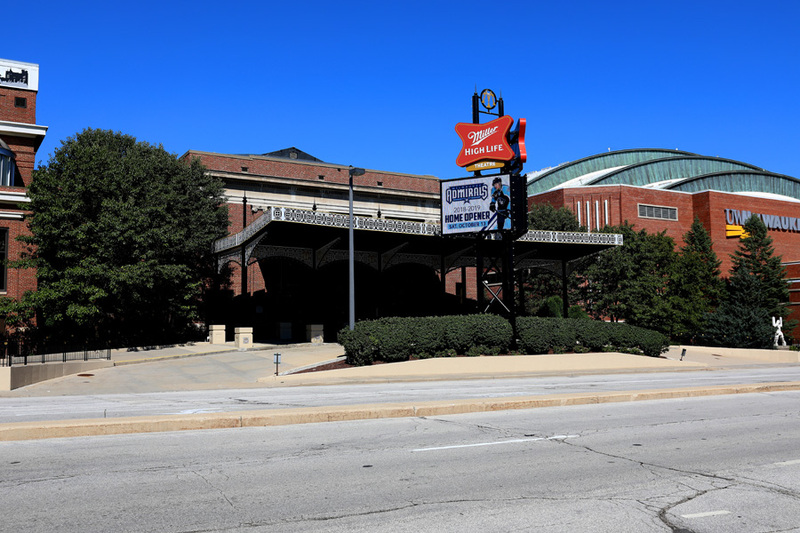 Miller High Life Theatre, formerly Milwaukee Theatre was my next stop. 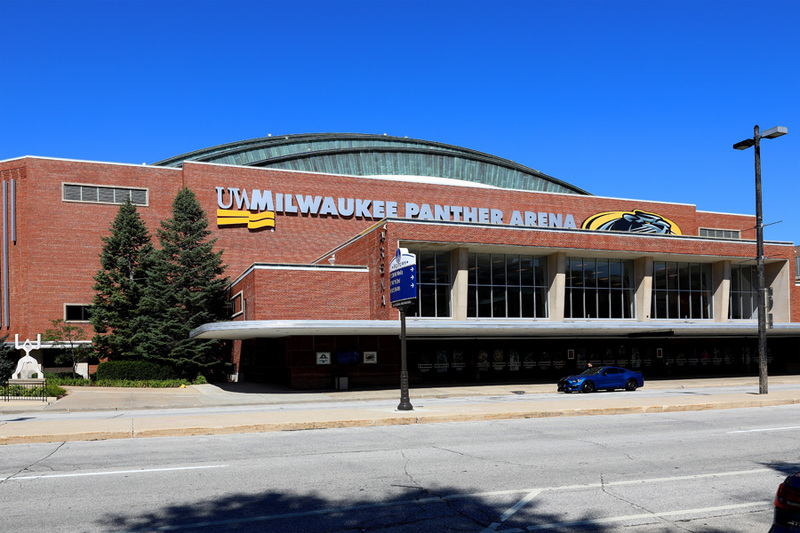 And right next door is the University of Wisconsin- Milwaukee Panther Arena, home of the Milwaukee Admirals hockey team, Milwaukee Wave soccer team and University of Wisconsin-Milwaukee Panthers men’s basketball team. 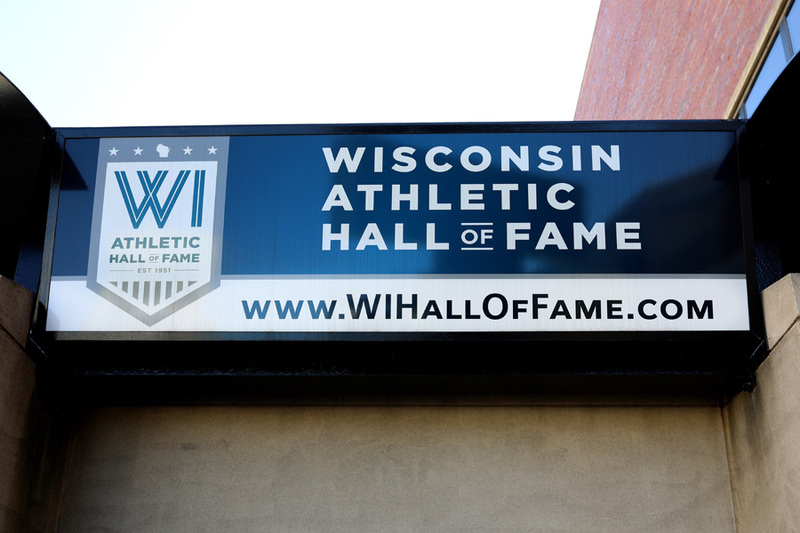 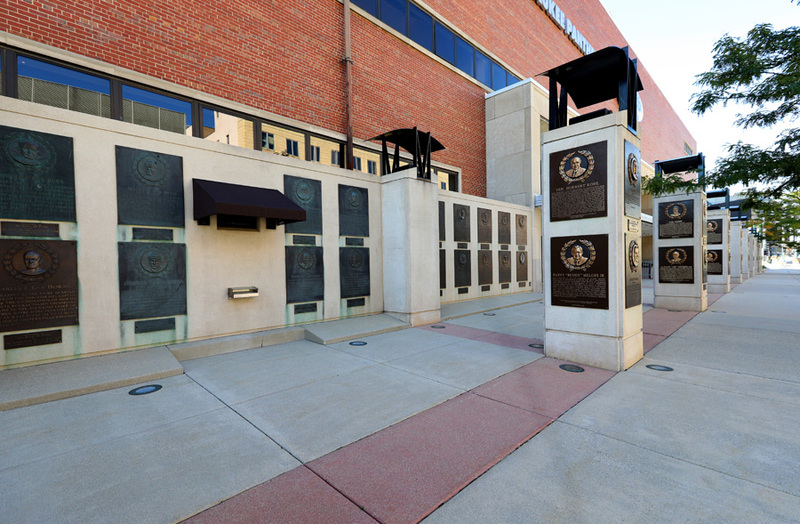 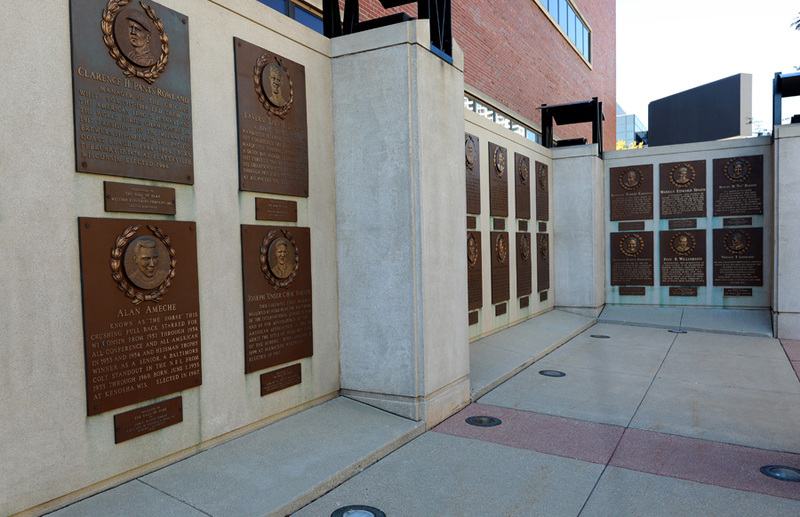 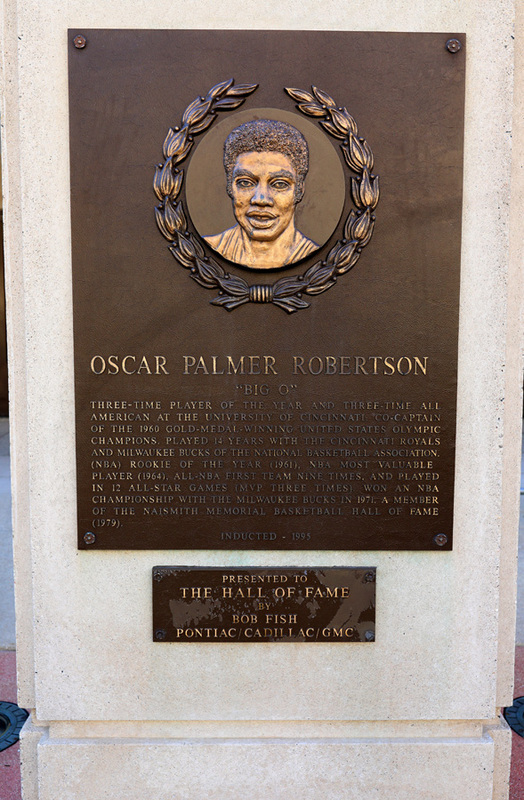 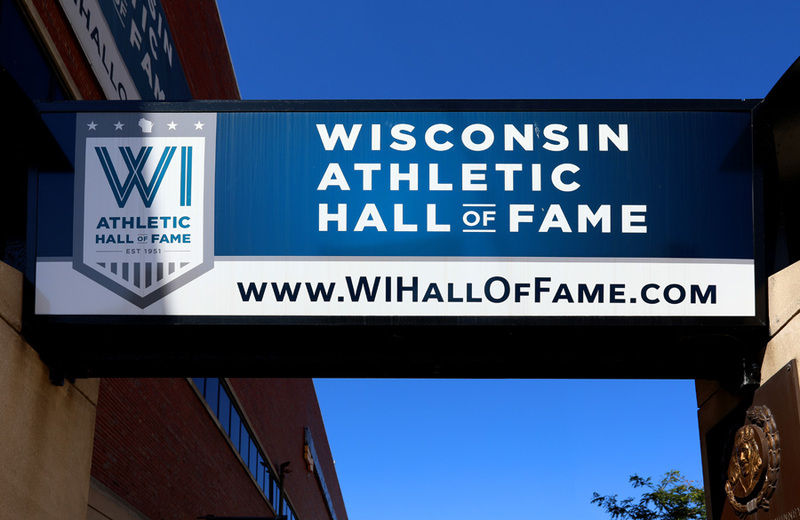 On the 1st Street side of the arena is the Wisconsin Athletic Hall Of Fame, honoring distinguished members of Wisconsin's sports history. 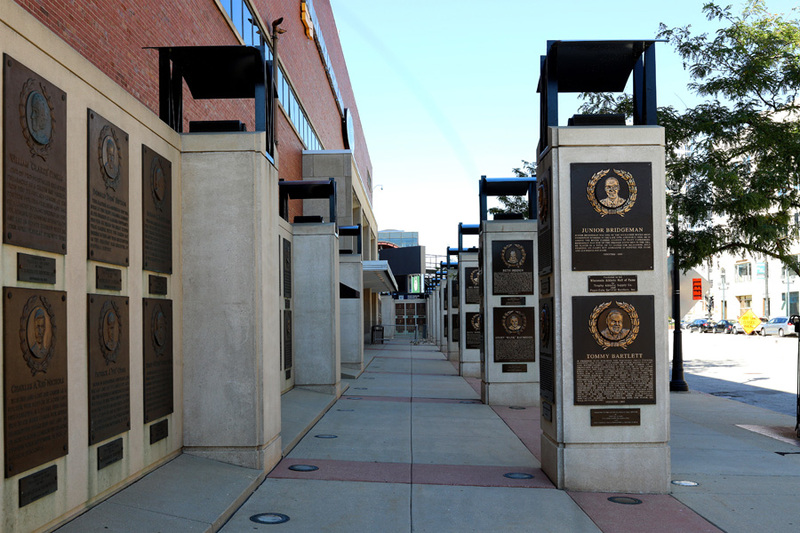 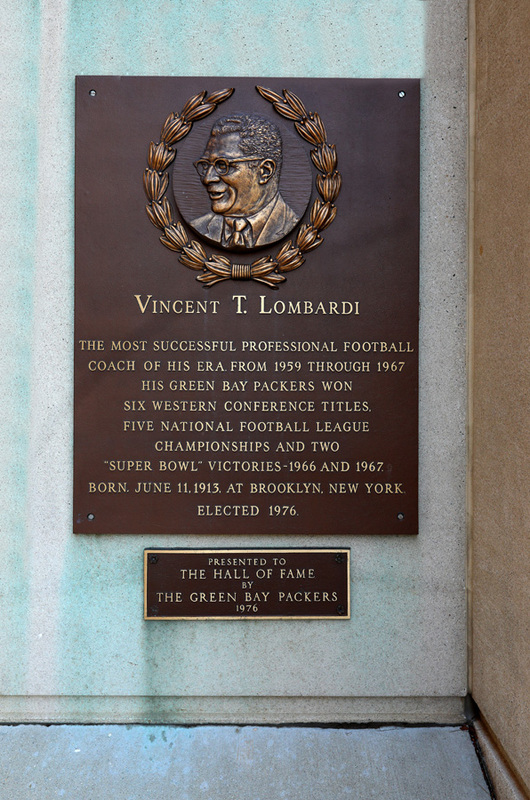 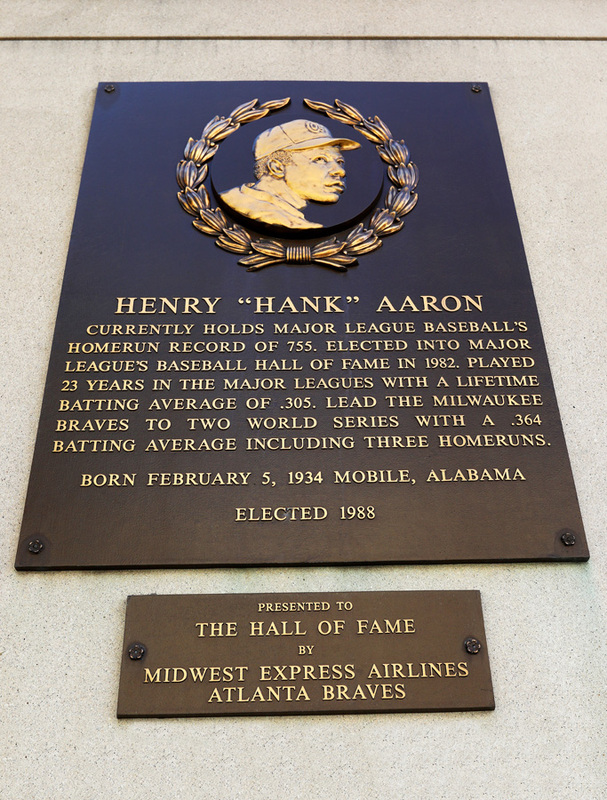 It was great for me to look at a lot of the plaques of the various players and coaches who I grew up admiring and rooted for when they played. 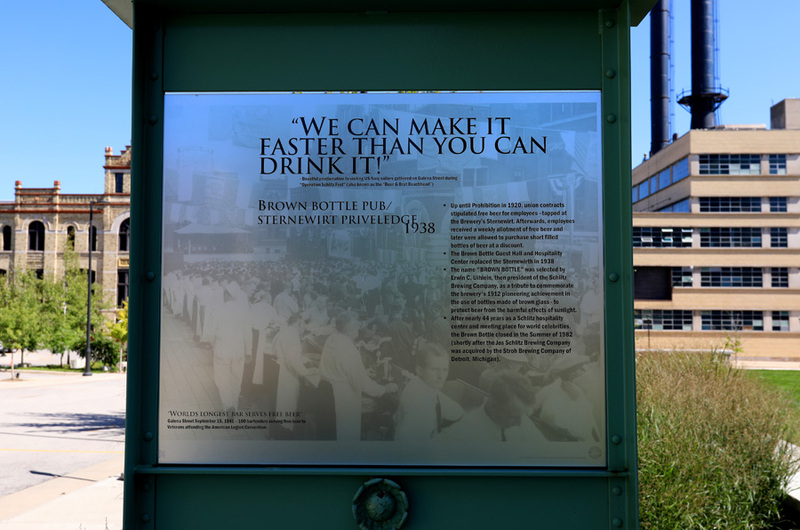 This is something I definitely had fun viewing! 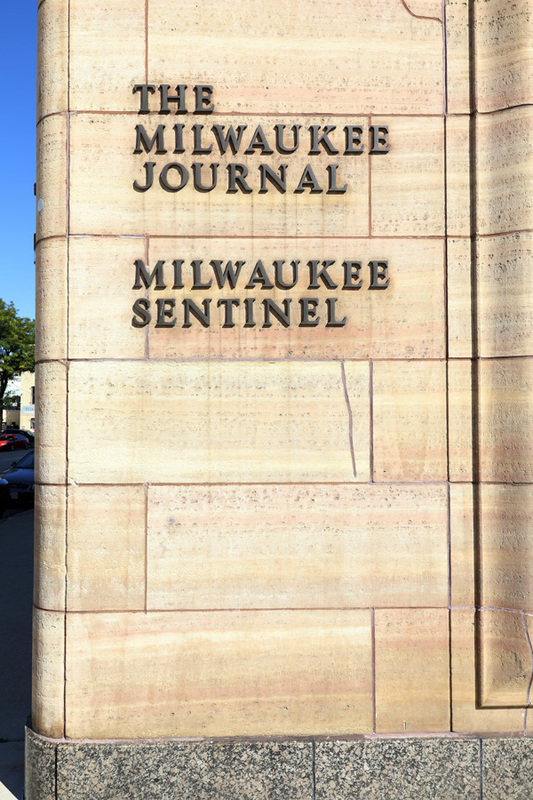 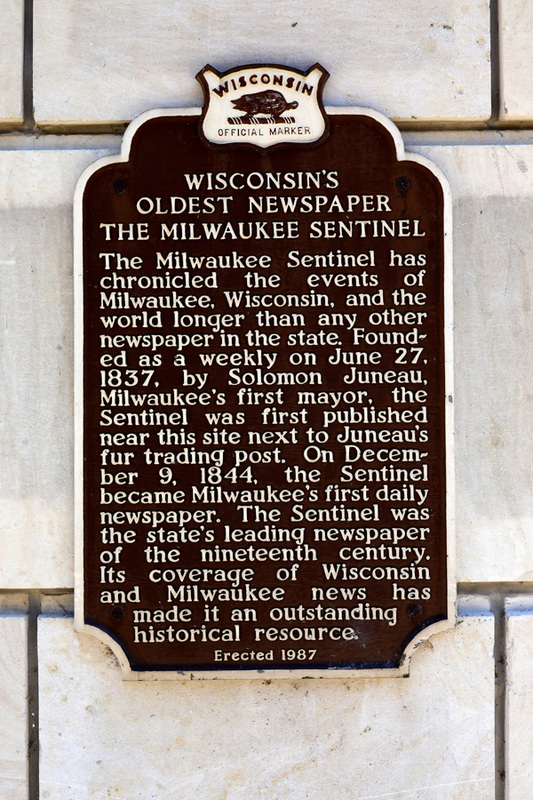 Across the street is the Milwaukee Journal Sentinel building, which is of course home to the city’s fine newspaper. 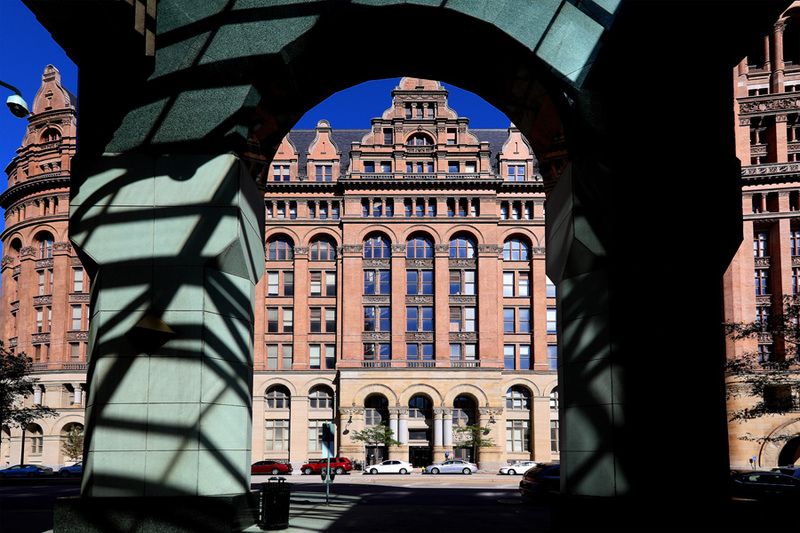 One of my favorite photos was photographing the huge City Hall building through the arches of The Milwaukee Center office tower. 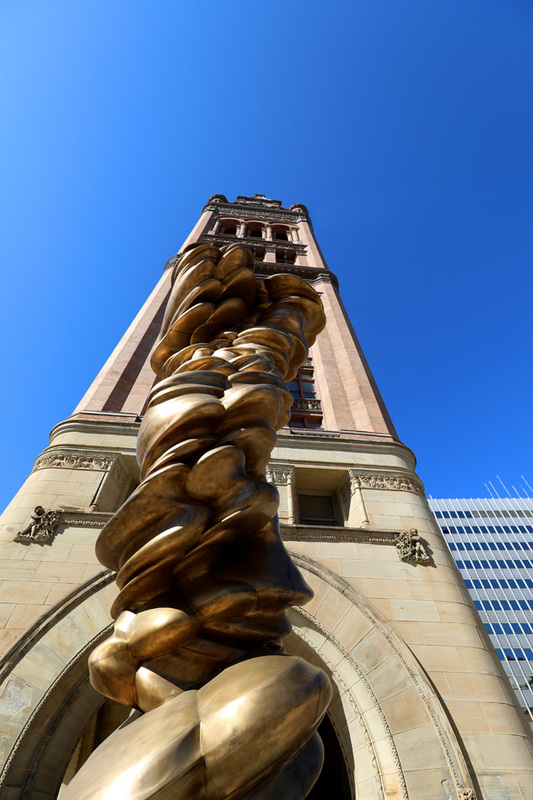 And my last photo was the Tony Cragg 'Mixed Feelings' sculpture outside City Hall.